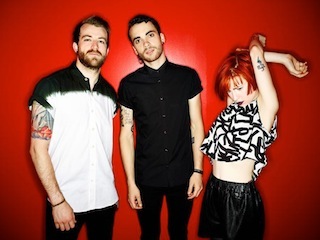 Paramore have been confirmed to perform on the season finale of American Idol next week. The Tennessee trio will take the stage with contestant Jena Irene. You can watch a video of Irene performing a cover of the band's 2008 single "Decode," as well as check out a message from the show's official Twitter account confirming the news below. The two-part finale will air with a performance show Tuesday and the finale Wednesday.
.@JenaAsciutto1 will be performing with @paramore during the #IdolFinale!